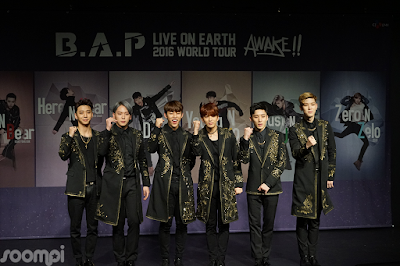 Soompi had the opportunity to attend B.A.P’s “Live on Earth 2016 World Tour” press conference and concert in Seoul. 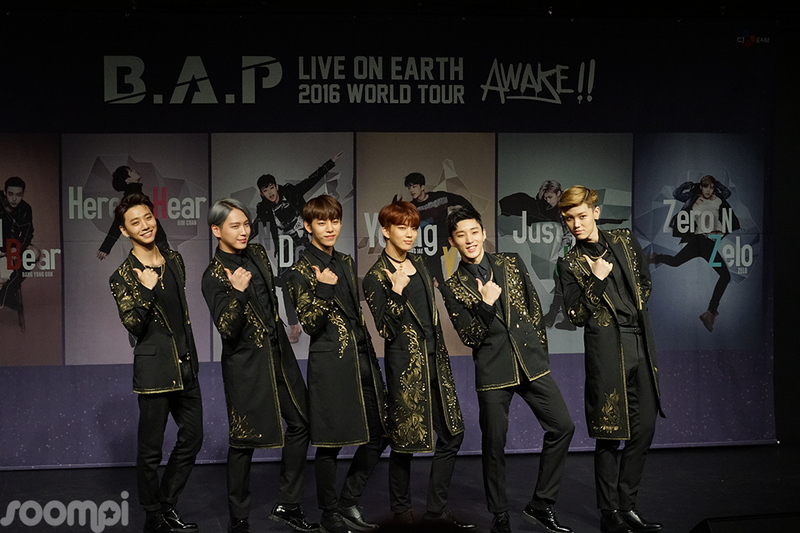 The members talked about their new mini-album “Carnival” as well as their world tour. Check out some exclusive photos and comments from each member! 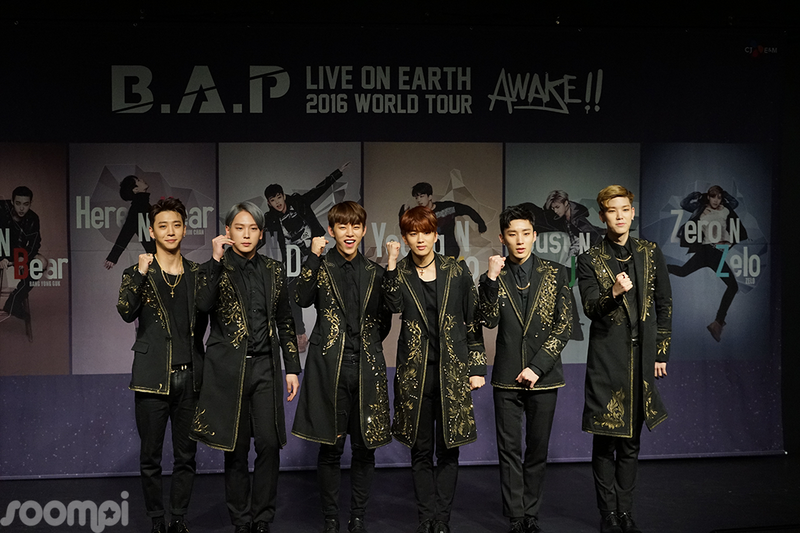 B.A.P will be heading to around 15 different countries in five different continents. 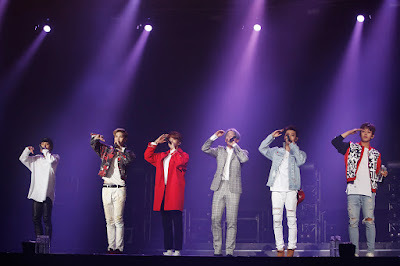 Upon being asked which country they are most excited to visit,Daehyun answered that they are genuinely excited for all of the countries they will be touring. Himchan asked photographers to take pretty photos of him as he is worried that he gained weight recently. 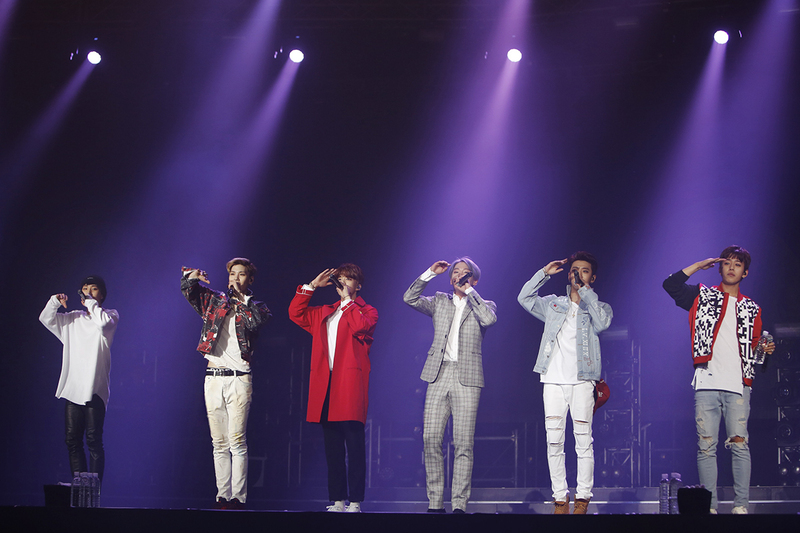 Leader Bang Yong Guk also mentioned that it’s an honor for the group to be able to fulfill their goal of having a world tour this year. He promised to work hard to spread K-pop and Hallyu. 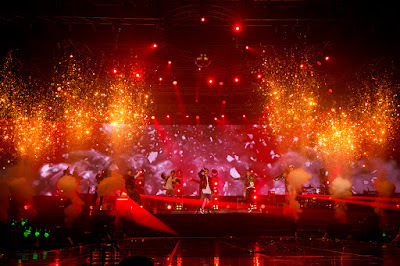 The group also talked about how their new title track “Feel So Good” is a bit of a different style from their usual music style. However, they said they worked hard so that people could think it suits them. Youngjae also showed his love for their mini-album and said he personally thinks all of the tracks are good enough to be title tracks. He asked everyone to please listen to all of the songs. 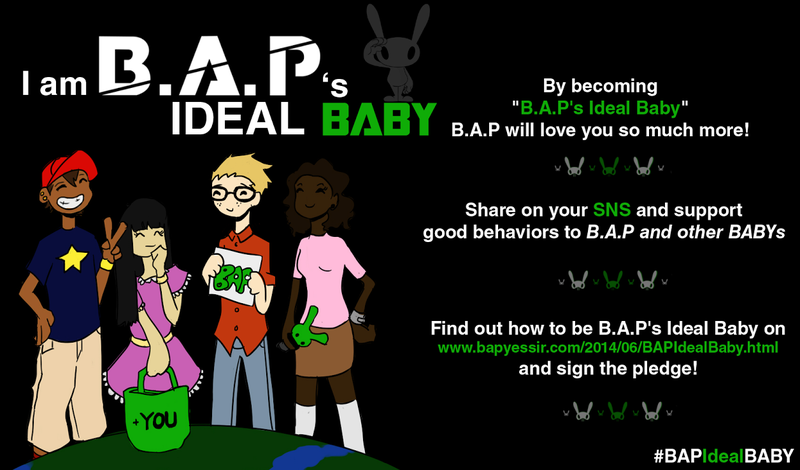 Also, Bang Yong Guk added that they worked on “Feel So Good” hoping that it would make many people happy. Furthermore, Zelo and Jongup played a large role in creating the choreography for the song with their choreographer/director. In regards to their world tour, Daehyun mentioned that this world tour will include more solo stages as well as Jongup and Zelo performing self-written songs. 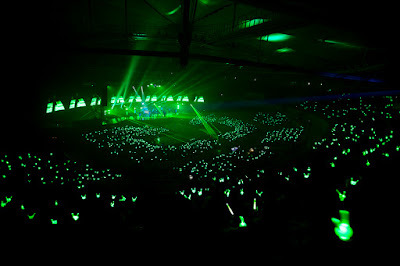 Circling back to the album, Bang Yong Guk talked about how B.A.P truly enjoys each other’s company. He talked about how the six of them went on a trip before and held meaningful discussions. The leader explained that being in the company of good people and spending a good time with one another can feel like a carnival. It’s not because they went somewhere, but rather because they were together. Hence the reason in selecting “Carnival” as the name of their new mini-album. Then Soompi got a chance to ask the members to greet Soompiers through Periscope. Follow us on Periscope if you haven’t already to catch exclusive live videos! 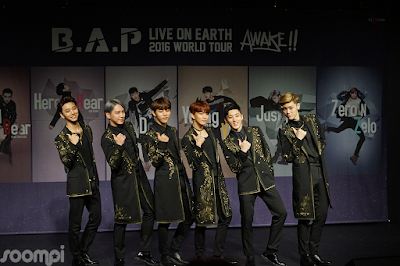 Following their adorable greeting, the members talked about how they feel about international fans. Youngjae said that international fans are really interesting. He has realized that his job is like a dream. With K-pop gaining a lot of attention, he feels a sense of responsibility. He added that he hopes K-pop can become more well-known. 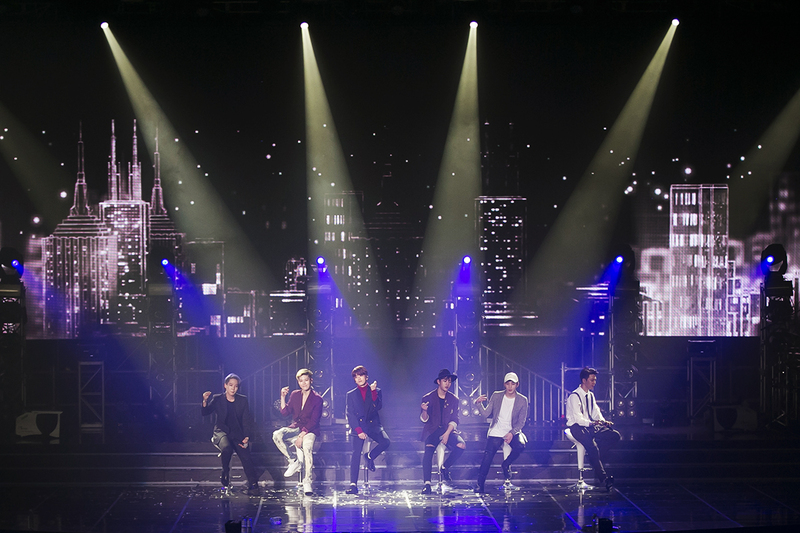 TS Entertainment also provided some exclusive photos from the concert below! To read the original article click here!